How was this collaboration with Shangri-La born? 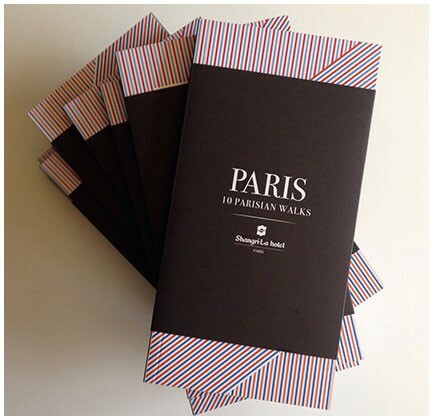 How was this collaboration with Shangri-La Hotel, Paris born? For a long time, I had the idea of ​​designing a slightly different guide from academic guides and those which, conversely, exclusively focus on addresses. I travel a lot and I regret never finding the ideal sesame that would replace the “local friend” to take me by the hand and introduce me to his/her city as he/she likes it, with a real bias. I talk to the Shangri-La, Paris about it who was immediately seduced by the idea of ​​being able to “offer” to its customers a beautiful object, which would deliver a personalized view of the city.